These homemade dumplings filled with edamame, basil, ginger, miso & tahini make a delicious 30-minute vegan dinner! Perfect for spring & summer weeknights. Somehow we ended up with a lot of photos for this one… so with that, I’m going to keep the words short. Our countdown continues… just 2 days until our trip and many many errands left to go. Thanks to everyone who left such thoughtful comments and suggestions the other day; it’s been such a huge help. 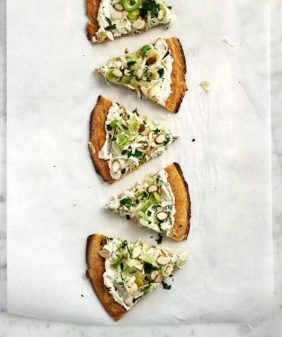 This recipe was the first one I bookmarked in the Sprouted Kitchen cookbook. I realize we’ve already posted about their beautiful book before… Funny thing is that I actually made this with no intentions of photographing it… but then it was just looking so pretty… and then of course it tasted too good not to share. I took some liberties here… Sara makes an aromatic lemongrass broth to serve these in… I took a lazy shortcut but added some extra ingredients to the filling itself. She uses sour cream to bind the filling together. To make mine a non-dairy version, I used miso and tahini instead. I blended, tasted and decided some garlic and ginger would be nice. And then I couldn’t help but squeeze just a bit of lemon juice in. I steamed these in a little store-bought veggie broth. To serve, I poured just a bit of the steaming broth over the top, drizzled on some sesame oil, and sprinkled some sesame seeds over everything. These taste like an Asian version of ravioli. The filling is creamy and almost cheese-like. 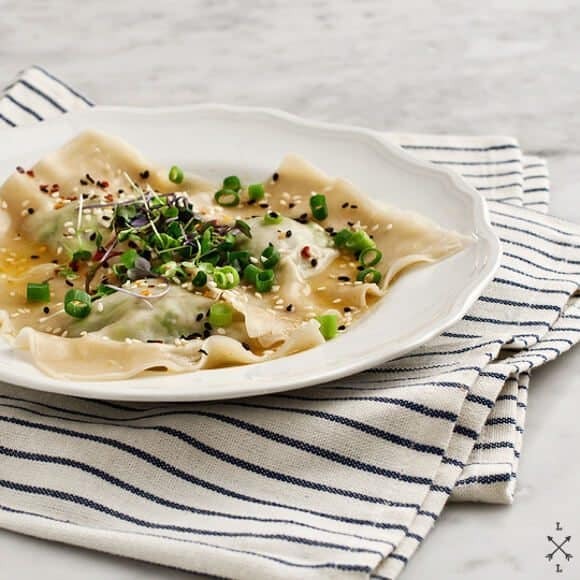 And by using pre-made wonton wrappers, this whole thing comes together pretty fast… totally a keeper for us. 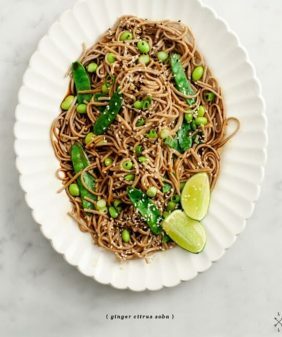 Combine the edamame, basil, scallions, garlic, ginger, miso, tahini, lemon juice, and sriracha in a food processor and pulse to create a somewhat chunky consistency. Taste and adjust seasonings, adding salt and pepper as needed. Be careful not to over-blend. Lay half of the wonton wrappers out on your work surface. Set the rest in a pile next to you, along with a small bowl of water for dabbing your fingers in. Spoon about a tablespoon of filling in each. Use your finger to wipe a bit of water on all 4 edges. Place a new wrapper on top and gently press down to seal each edge. In a medium skillet, bring the broth to a simmer. It should cover the bottom of the pan at least an inch deep. Drop the wontons in the pan in a single layer, working in batches if necessary. Cover and steam for about 2 minutes or until the wontons are cooked through but still al dente (like pasta). Divide the steamed wontons onto plates and pour the broth from the pan on top. Drizzle with some toasted sesame oil and garnish with the sprouts and sesame seeds. If you have extra filling, save it in the fridge to make more dumplings later, or spread it on a sandwich the next day. This is like making ravioli, except it’s not Italian and without making the dough yourself. And a lot healthier, of course, here at love & lemons there always is a healthier yet delicious version of a classic. I ordered the sprouted kitchen cookbook but am still waiting for it, very impatience however! These look fabulous – and they’re so unique! Gorgeous photos! Love the colours 🙂 These look so tasty. I cannot wait to try this recipe. Mmm! 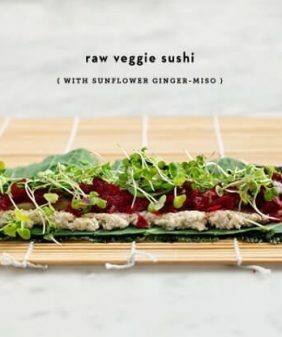 Oh I love the flavours in here – ginger, miso, tahini – just lovely! These look delicious! Mouth is watering… Can’t wait to make them! Duuuuude, please give me 600 dumplings. oh wow !!! yummy, it looks awfully good !!! So pretty & so delicious! my heavens! I’ve come back to this post three times tonight just because I am so incredibly impressed. I love the changes you made (when are the additions of tahini or miso ever a bad idea?). HIgh five. Love it. Safe travels, lady friend. Simply lovely and beautiful looking. Those dumplings are so beautiful, and they sound delicious! Edamama, tahini, and sesame oil all in the same recipe? I’m in. 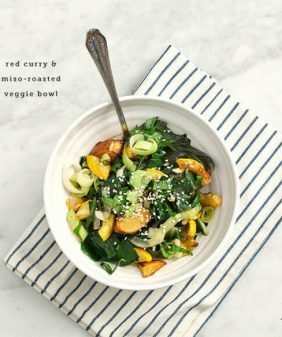 I really need to buy this cookbook!!! This looks so easy and delicious! I love that you made a sandwich with the filling the next day! Miso+tahini is always a winner. I bet these taste amazing. Beautiful photos!!!!! You took the word ravioli right out of my mouth! What a wonderful idea. I think I would try it first in a gyoza fashion, making the dumplings with one wonton wrapper at a time and steaming and frying them. Paired with a dipping sauce, I imagine this could be an incredible appetizer or fingerfood. Beautiful flavors and colors! What a splendid idea. 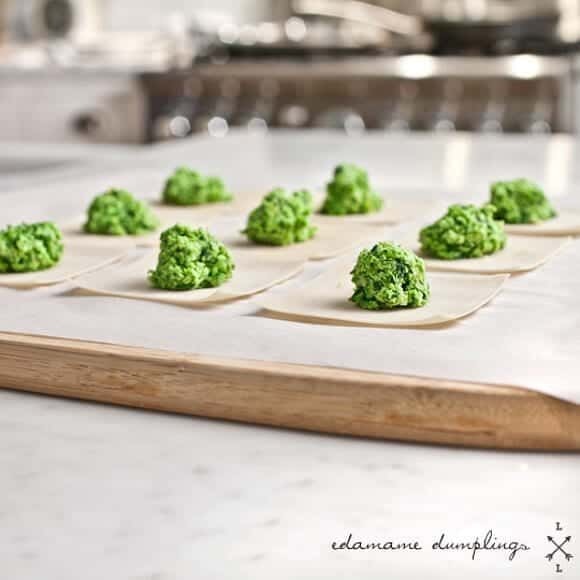 I love dumplings, and the bright green hue that you’ve captured is so wonderful. 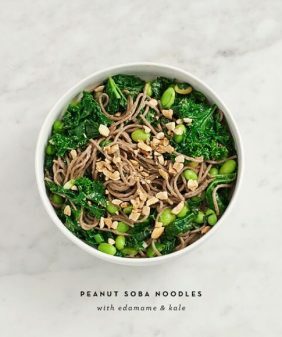 I haven’t had a chance yet to look through the Sprouted Kitchen book, but this recipe has inspired me. Thanks so much for sharing your beautiful photos. I’m equally sold on both versions … perhaps when I get around to these, mine will be a mish mash of the two. Gorgeous! Hope you’re enjoying your travels. Those look gorgeous! The photos with the seeds sprinkled over top are just stunning. 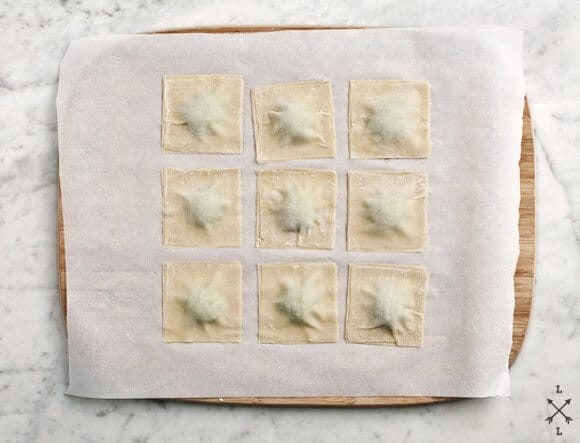 I’m going to have to get my hands on some dumpling wrappers (or get busy and make some sheets of pasta) and try these out. They look great! Beautiful ! 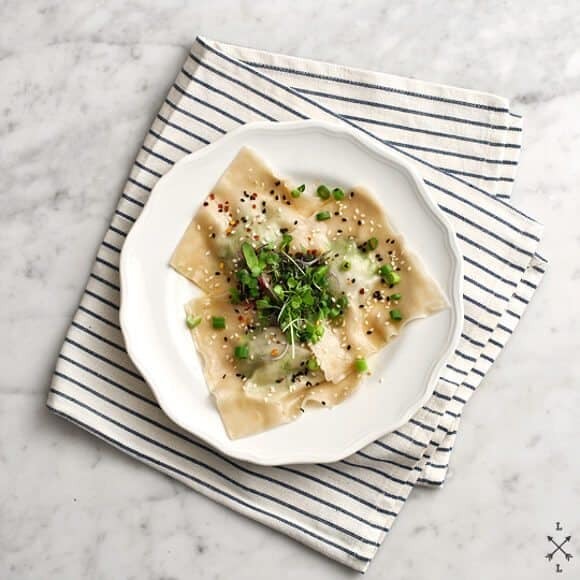 I’ve just made some home-made fish raviolis and I can’t wait to try different recipes. This one is amazing, the colours are gorgeous ! Looks great! If you want vegan though, remember to double check the wonton wrappers, as most have eggs in them. Wow! I’ve been reading your blog for a while now and I really wanted to say that I love it so much. There is so much love within your food, words and photos. Gorgeous! Thanks for sharing all this with us. These look incredible! I just happen to have some edamame in the freezer too! Ive made an edamame pesto before and it was fantastic! Great idea for the ravioli!! Made this last night and it was really, really good. I love your recipes and spin on healthful combinations I wouldn’t think of on my own. Thanks for the inspiration and good eats! I love your blog. I came across one of your recipes on Cook n Scribble and had a food induced joyous moment with your beautiful photographs! my husband and i made these tonight and served them with cilantro-lemon rice and they were absolutely delicious! i didn’t have miso paste so i subbed tomato paste and it worked out just fine in terms of consistency. great recipe! oh, nice idea, I’ll have to try tomato paste. Thanks for sharing! I’ve been cooking my way through the Sprouted Kitchen and made the soup last night….loved it. I now have a whole bunch of wontons and a good bit of filling left (I made extra)– so this variation will be just perfect. Love your blog and the gorgeous photos. Thanks for the great idea! 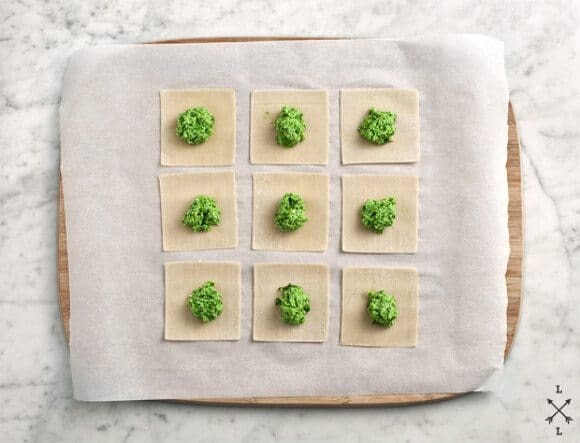 Making these now, and went ahead and made all the wontons ahead of time. Wondering if I can freeze them or pop them in the fridge to steam later tonight? 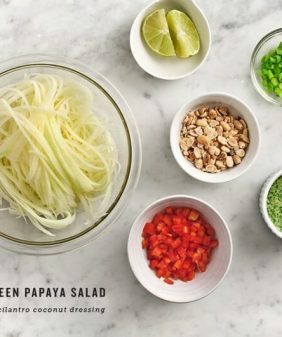 Hi Melanie, I haven’t tried, I made mine right before I cooked them… but Sara in the sprouted kitchen book (the original recipe), says to make them at most an hour or two in advance… the filling might soak through the wrapper and cause it to tear more easily. She says to put them on a parchment lined baking sheet when you store them in the fridge. So I guess let me know how it goes… I’d be interested to know. Thanks, Jeanine. I think I’m going to put them in the fridge and steam them tonight. I’ll let you know how it goes and if I’m brave enough to freeze them next time ;-). Excellent recipe! I was making these very quickly with a few other items and totally forgot to add the basil in. It still tasted amazing! I love the creaminess that the tahini brings in lieu of the dairy, and the subtle flavor of the miso. Instead of a food processor, I put it in my Vitamix on Setting 1 and just let it crank away for a few minutes. OHMAHGOD were they delicious! Thay make an easy lunch if you freeze them- took me just 6 minutes to cook! This was the first time that I wanted to eat the filling more than the wrappers haha usually the commercial ravioli is full of cheese but yours are perfect and not heavy at all! The addition of tahini is genius. I used the filling to make potstickers. I had some leftover spring greens and I subbed them for the basil. The filling is so good it would be delicious just stirred into cooked rice. Thanks for a great recipe! These were really yummy! I loved how the wonton wrappers just soaked up the flavors of the veggie broth and got nice and soft. The only thing I didn’t *love* was just how strong the flavors were. Maybe next time I’d use two scallions instead of three. Definitely just a flavor preference, but we will 100% be making these again! Hi Sarah, I’m so glad you enjoyed these!